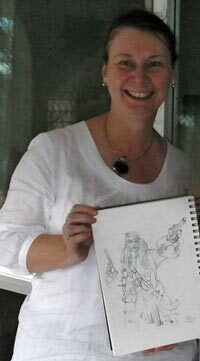 Plus get 12 months of Drawing Lessons from a Professional Illustrator! As a professional illustrator and teacher, I was hired by a university to rescue two classes of Graphic Design students who were due to complete their diplomas, but they could not draw well. 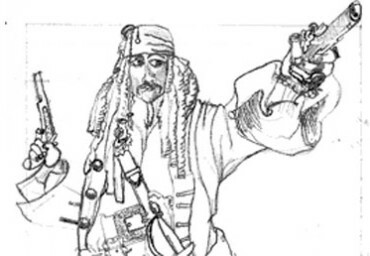 Using the proven step by step workshops I had written and trialed over many years I took these students from rough amateurs to skilled practitioners of technical and commercial drawing. They passed their exams and earned their qualifications. Now these workshop manuals are available online. If you can hold a pen you CAN draw! At last! a Surefire proven skill based system that works! Everything you need to get started is available here! Discover the simple skill system taught to over 2,000 art and design students, teachers and illustrators over the past 18 years. These unique techniques get you in full control no matter what your current skill level. Get maximum impact from your ideas quickly, easily, and confidently! this could be the most important message you’ve read all year. 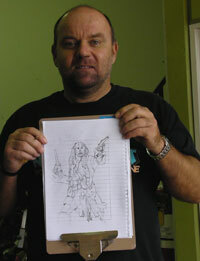 The good news is – You can start at ANY level and learn to draw easily. I know. I’ve seen it time and time again. You’ll soon discover how to create drawings that are skillful and fascinating … artworks that are uniquely yours, professional, and a pleasure to display. You won’t be frustrated by trying to transfer your ideas from your thoughts to your canvas waiting for your creativity to get into gear. There are times when you MUST be able to put something on that page! You’ll soon see the ability to draw is a skill that can be learned. There is a formula that works. 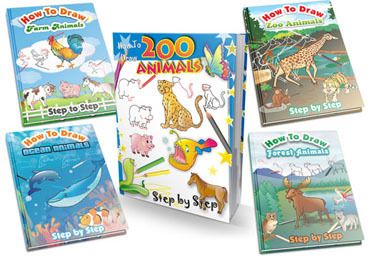 « eBook: Drawing Animals in Pencil – If you can hold a pencil you can draw animals!